We make no secret of the fact that we love cycling, and we love all the bike accessories that come with it. 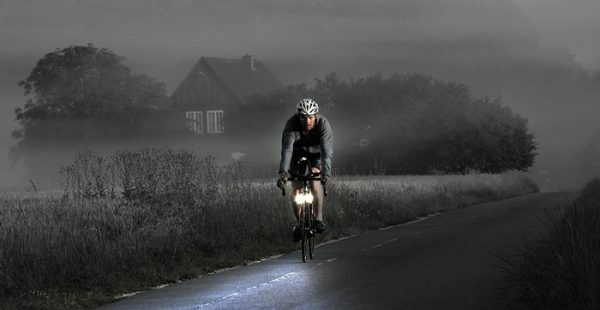 Living in Britain does mean that you really need a good set of lights on your bike, specially in the winter months. These have their own complexities, with batteries running out, them getting wet in the rain, and other visibility issues. Dynamo based lights sort the battery issue out, but they have their own problems, with brightness issues, bulbs popping, and most of all, the added friction/energy that is needed to run the dynamo. Fitted on your bike pads, these are good to go the moment there is movement, and unlike traditional setups, they actually have enough power to be visible on the lightest of movement, and all that with no contact on your wheel at all. So how much would it cost you to get one of these? One (front or back) costs $69, while the complete set costs $179. As you may imagine, they are running out fast, so do get in if you want in! Click the following widget for more information, or this link. Previous story Featured IndieGogo: Smartphone Sized PC hits its target! Next story Garmin introduce the Vivofit – a fitness sensor that adapts itself to you!